The award-winning singer-songwriter is esteemed for her imaginative interpretations of traditional and contemporary folk standards and her own poetically poignant original compositions. Her stunning rendition of Joni Mitchell’s “Both Sides Now” from her landmark 1967 album, Wildflowers, has been entered into the Grammy Hall of Fame. Judy’s dreamy and sweetly intimate version of “Send in the Clowns,” a ballad written by Stephen Sondheim for the Broadway musical A Little Night Music, won “Song of the Year” at the 1975 Grammy Awards. She’s garnered several top-ten hits gold- and platinum-selling albums. Recently, contemporary and classic artists such as Rufus Wainwright, Shawn Colvin, Arlo Gutherie, Joan Baez, and Leonard Cohen honored her legacy with the album Born to the Breed: A Tribute to Judy Collins. Based on the success of the CD/DVD Judy Collins Live At The Metropolitan Museum Of Art, which aired on PBS, Judy Collins filmed another spectacular show in Ireland, on September 29, 2013 at Dromoland Castle. The show features some classic Judy Collins songs like Chelsea Morning, Cat’s In The Cradle, Bird On A Wire as well as some of her favorite Irish tunes… Wild Mountain Thyme, She Moved Through the Fair (featuring the amazing Mary Black) and of course, Danny Boy. 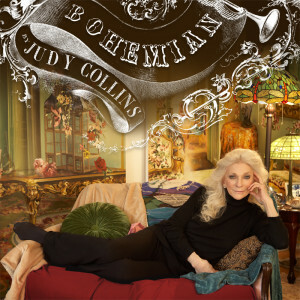 JUDY COLLINS LIVE IN IRELAND will air on PBS nationwide in early 2014. Judy has also authored several books, including the powerful and inspiring, Sanity & Grace. For her most recent title, the memoir Sweet Judy Blue Eyes: My Life in Music, she reaches deeply inside and, with unflinching candor, recalls her turbulent childhood, extraordinary rise to fame, her romance with Stephen Stills, her epic victories over depression and alcoholism, and her redemption through embracing a healthy and stable lifestyle and finding true love with Louis Nelson, her partner of 30 years. In addition, she remains a social activist, representing UNICEF and numerous other causes. She is also the co-director, with Jill Godmillow, of an Academy Award-nominated film about Antonia Brico, the first woman to conduct major symphonies around the world—and Judy’s classical piano teacher when she was young. Judy Collins, now 74, is as creatively vigorous as ever, writing, touring worldwide, and nurturing fresh talent. She is a modern day Renaissance woman who is also an accomplished painter, filmmaker, record label head, musical mentor, and an in-demand keynote speaker for mental health and suicide prevention. She continues to create music of hope and healing that lights up the world and speaks to the heart.